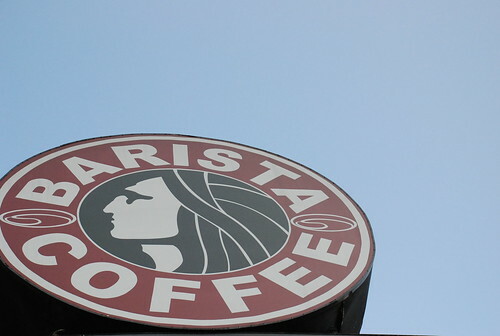 The Rat City Rollergirls have, by default, won a trademark dispute with the Starbucks corporation, and will not have to change their logo. Back in May, Starbucks raised concerns that the roller derby team’s logo has a “very similar look and feel” to the Starbucks logo. According to the RCR’s attorney, Quinn Heraty, Starbucks never filed an official objection to the Rollergirls’ logo, and their trademark inquiry has been terminated. While the similarities are apparent when the logos are side by side, you would never mistake one for the other or even make the association on your own. At least I wouldn't/haven't. I'm glad this is over with, it was dumb and made me hate Starbucks a little bit (more). Unfortunately, trademarks aren't like copyrights or patents; if you don't defend your trademark, you can loose it. Aspirin is the best example. The elements those two logos have in common are basic logo-boilerplate design that's been in use since probably the 19th century, if not longer. As for the RCR. The illustration works really well, but I'd personally do something else for the font. This is certainly a black eye for the Starbucks mermaid. My question would be why would the designer of the RCR logo create such an unimaginative rip-off of the nasty ol' Starbucks logo? The notion that it is a coincidence that the logos look alike is nonsense. The "designer" of the RCR logo did what any young high school designer would do -- steal! #8 - It doesn't end in high school. If you don't recognize a new design, it's probably because the designer had a great source for it. Hey, Jonah. Elenchos here. How come you never retracted your stories making this Starbucks/Rat City Rollergirls thing into a big dramatic fight? Shouldn't you have run a correction admitting that there was never any real animosity other than in your ambitious reporter's imagination? Especially when the Stranger claimed they scooped the dailies with their flawed reporting. Is a scoop still a scoop when you get the story wrong? So Starbucks doesn't own the trademark on letters printed in a circle? They should've just duked it out on the roller rink. I'm in Taiwan this week, and came across Barista Coffee. I'm not sure how the Rollergirls' logo got on Starbucks radar, but this one did not. Great to see that Starbucks back off on this one. Challenging the Rat City RollerGirls' Trademark registration would have done more damage then then good to Starbucks reputation. Now if the girls were selling coffee I might feel differently. it was ridiculous- its a circle with a few stars; and its not even the same colour. Starbucks is not as important as it thinks it is.